Jennifer Cluff: The Mistral Fanfare - Lots of Excitement! The Mistral Fanfare - Lots of Excitement! It's possible that those of you who know me well wonder why I've been so quiet for the past half year. Well actually I've been making some exciting and joyful noises and working together with truly great musical people. And you're about to find out all about these projects. Here is a new flute work that is a perfect fanfare!!! And do plesae use the comment button if you just LOVE this composer. The story of her compositions to follow! And there's even more to come! 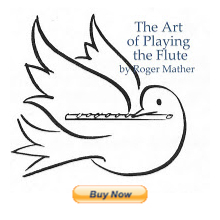 I'll tell you the whole story about flute authors and flute composers right here as the weeks unfold. This musical fanfare is the beginning of even more exciting announcements yet to come! I really enjoyed it! It's beautiful!! Thankyou so much Olya! We really have fun rehearsing and choosing music, and this particular piece was the favourite for about six concerts in a row. The audience ADORES it, every time! What a thrill to play it! Wonderful work this Jen. I hope Julia Bowkun becomes better known her compositions deserve it. It is a beautiful piece. Thank you, Jen, so much for all you offer on your blog and your website...your generosity knows no bounds! Hi Jen, I adore your website and blog, and especially love Bowkun's Mistral! Just wondering where I might obtain the sheet music? I can't seem to find it on your site. Thanks! Laura. Thanks for loving "Mistral". It's one fantastic piece. It will go for sale this summer, and will be announced on my blog. I'm still editing the parts. Almost finished. so beautiful! shared it with my friends.